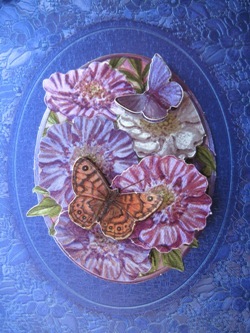 Engraved violet blue handmade card 127 x 178mm for any occasion with decoupage 3D effect flowers and butterfly on lilac mirror card. 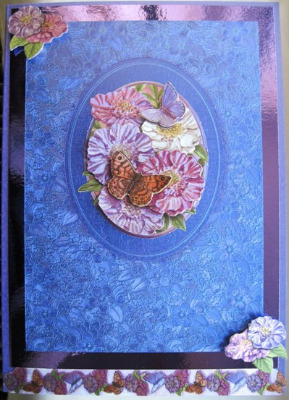 There is space to add your choice of wording to the front, such as With Love, To my dearest mother, On your special day, or Just for You. Please complete the form below and choose a greeting for the printed insert.